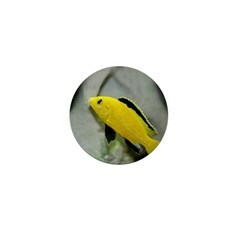 Just $2 for Cichlid Flair… we’ve put some of our best pics onto little 1″ buttons so you can rock your favorite fish! Currently there are 15 to choose from… we will add more soon! Our puzzle page is organized by category (Malawi, Tanganyika, Victoria, Other, and Catfish), and all new puzzles appear at the tops of the columns so they’re easy to find. You can even change the cut and number of pieces! Gold Ocellatus White T-Shirt by AfricanCichlids.net. This is just one example… we are busy creating, so check back often! The 2011 Federation of Texas Aquarium Societies (FOTAS) Convention is showcasing CARES this year, and is being hosted by the Hill Country Cichlid Club. Information and registration for the FOTAS CARES convention can be found HERE. See you there! Follow FOTAS CARES on Facebook. Also, let us know if you’ll be there by visiting the FOTAS CARES 2011 Facebook Event Page. Check out our PRICE LIST for hardy live plants, inverts, foods and our book! Payment is secure, fast and free via PayPal… even if you don’t have a PayPal account!